Happy Friday y'all:) :) I'm seriously so beyond happy its the weekend, Matt and I are leaving to Vegas today and I couldn't be happier! I need this little break more than anything. Life has been so crazy and chaotic for me, so I'm really excited. 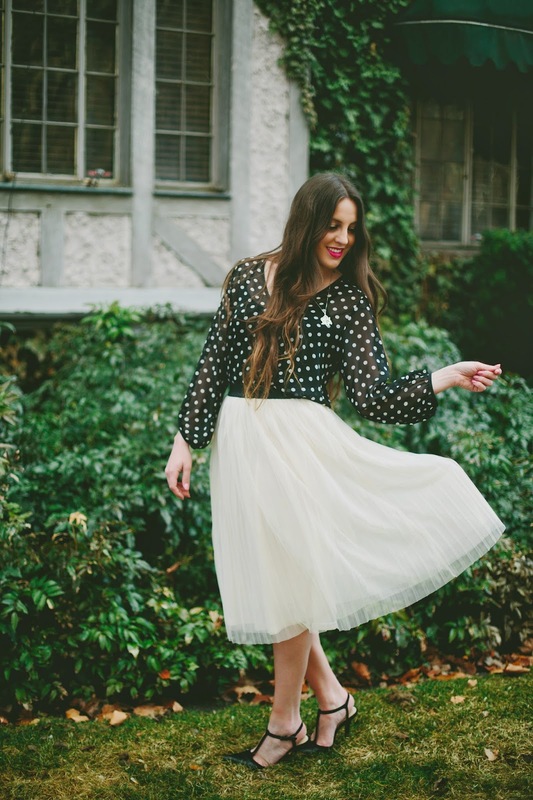 oh that skirt just so pretty and you've paired it perfectly with a polka dot top. I need to get one of these, always wanted one! 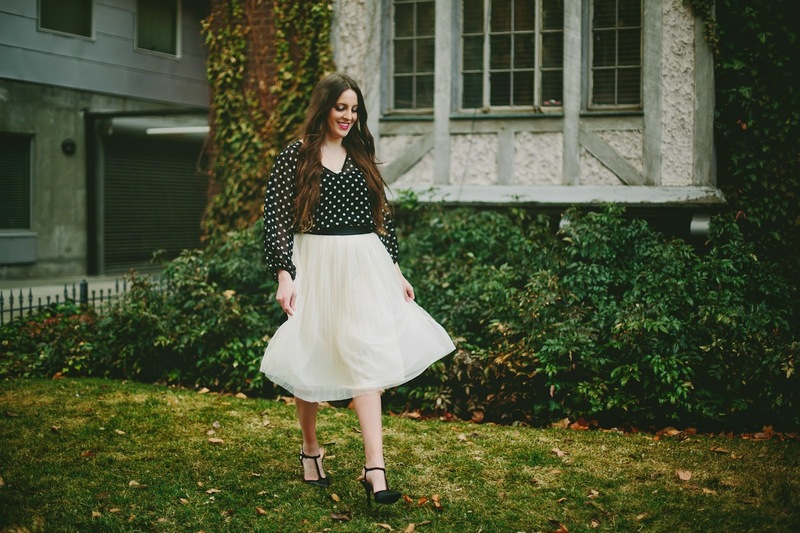 I just got back from Vegas and it was the perfect little getaway--I hope you have a blast :) You look fabulous in this tulle skirt--and you can't beat the price!! 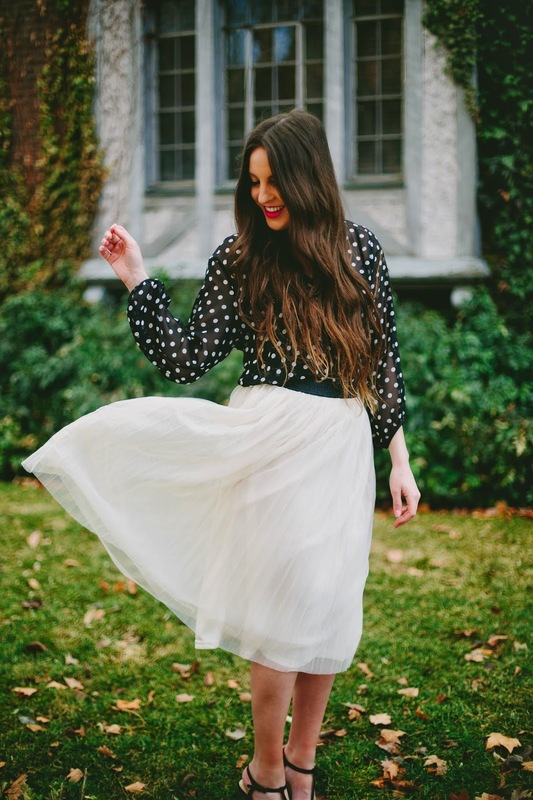 LOVE the skirt with the fun polka dots! Perfection girl! 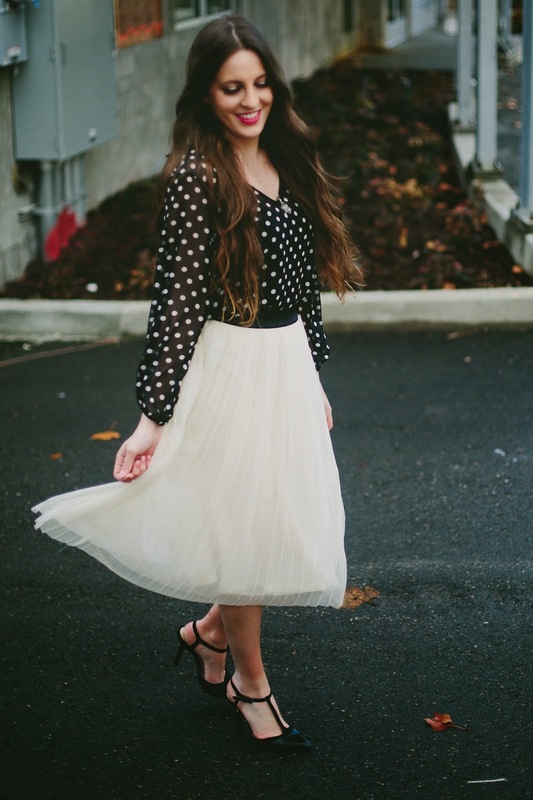 That skirt is fabulous, it has beautiful movement! 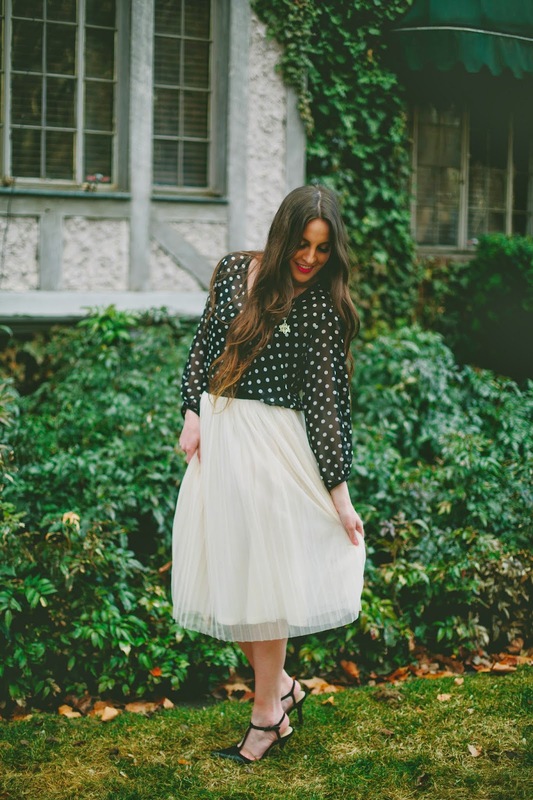 I love all of these tulle skirts i've been seeing all around the internet but im not sure if i'm girly enough to pull it off. 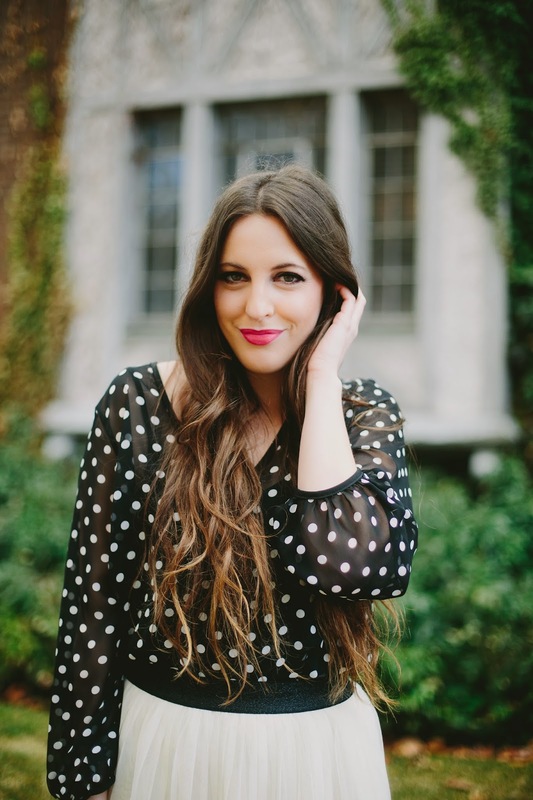 LOL Love the way u paired it with the polka dot top! Lovely outfit! 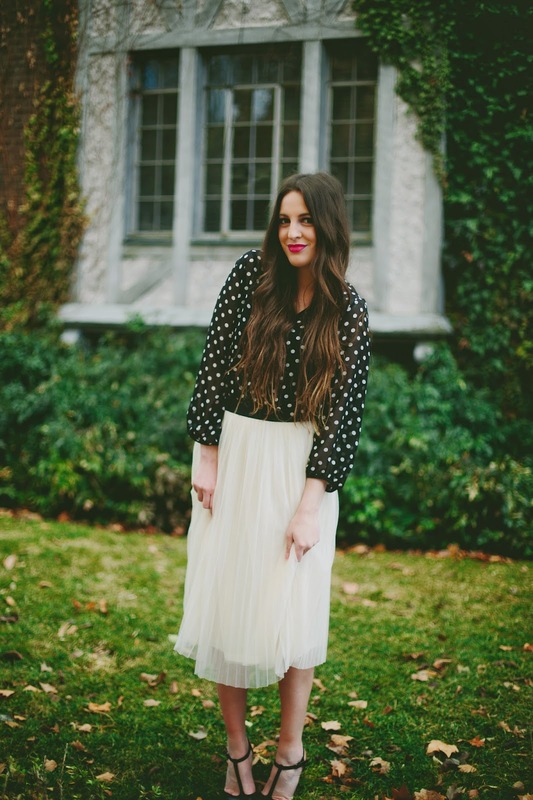 Adore the skirt! 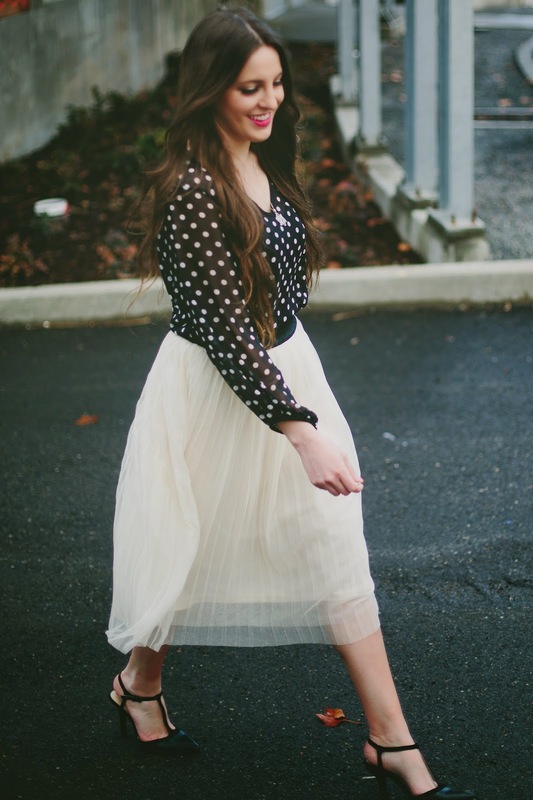 love the skirt + the polka dots are so cute with it! 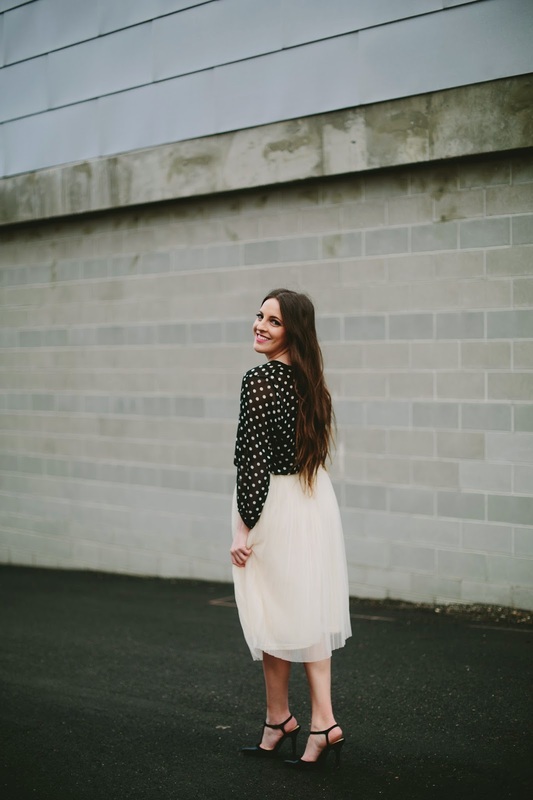 This is my favorite outfit you've ever posted...so gorgeous! 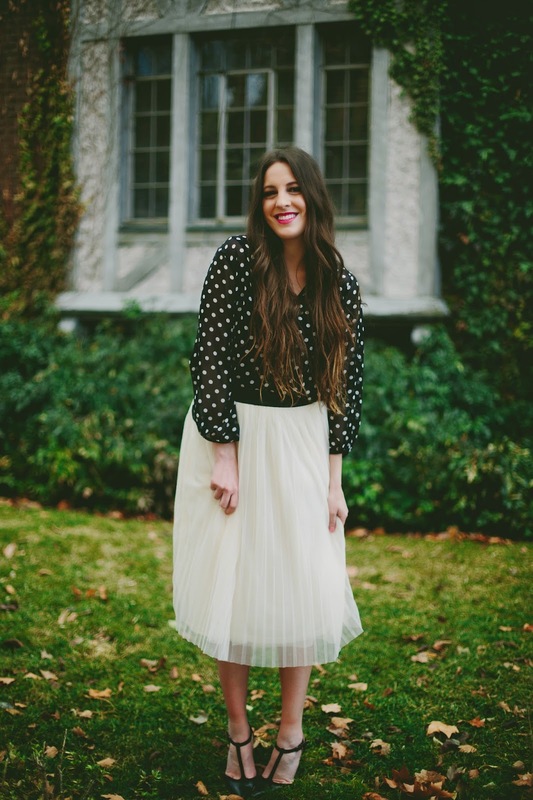 Tulle skirts are usually a little too crazy for me, but I love this one, and you styled it so femininely and beautifully.